This tour is all about the stunning vistas! From the start, you'll have access to immediate and dramatic views of the beautiful mountains surrounding Kuilau Ridge Trail. 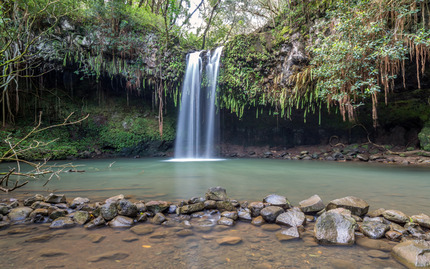 This is one of the less difficult and shorter Kayak Kauai hikes, so it is perfect for the whole family. You'll make tons of indelible memories with your loved ones as you traverse this gorgeous landscape, and enjoy the beautiful Hawaii weather. After an hour of climbing, you'll reach the picnic area, where you'll enjoy a delicious complimentary lunch, while taking in even more incredible views, including Kahili Mountain! 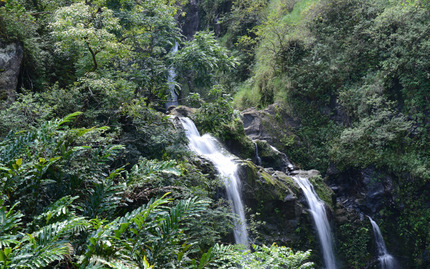 On your way back to the starting point, you'll enjoy a refreshing dip in Kehua Stream. It doesn't get much better than that! Note: Hike is of easy to moderate difficulty. 2 person minimum. Includes lunch.